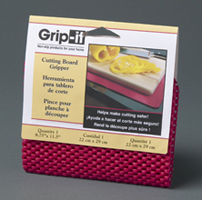 Grip-it Cutting Board Gripper promotes safer, more controlled cutting by securing cutting board while slicing and dicing. Also protects counter top surface from scratching. 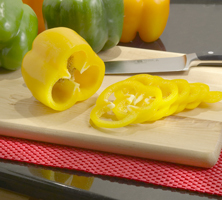 Durable, washable, and easy to trim to your desired shape.